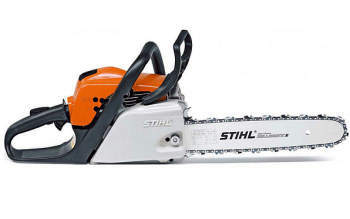 Stihl Chainsaws for sale | MS170 | MS171 | MS181 | MS211 | Northern Ireland. Stihl Chain Saws 12 inch, 14 inch and 16 inch. Call us on 028 (from ROI 048) 302 66665 for information on all our chainsaws for sale. Stihl Chainsaw MS 170 12 inch bar. Great value chainsaw for very light work or wood burner stoves. Brought back into production by popular demand! Stihl chainsaws - reputation for quality . Stihl Chain saw MS 171 14 inch bar. Best value chainsaw for light work or wood burner stoves. 3/8 picco chain with 14 inch bar. Spare parts are readily available from any Stihl dealer- North or South! Stihl Chain saw MS 181 14 inch bar. Stihl MS181 is similar to the MS171 but with more powerful engine. 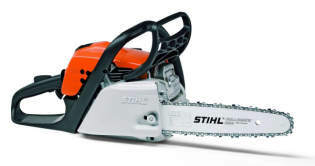 We service and repair stihl chainsaws . Stihl Chainsaw MS 211 16 inch bar. Stihl MS211 is similar to the MS171 and MS181 but with more powerful engine and longer bar.